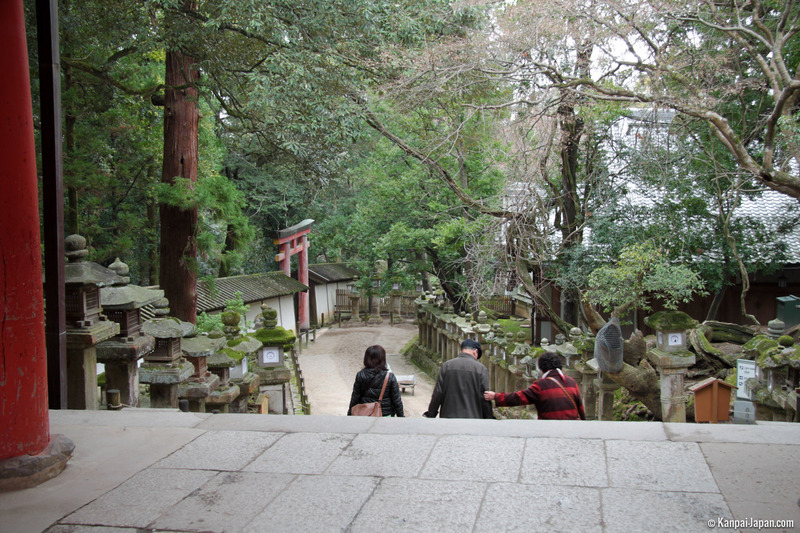 People will sometimes say that what is important about a trip is not so much reaching your destination as taking the path that leads there there. 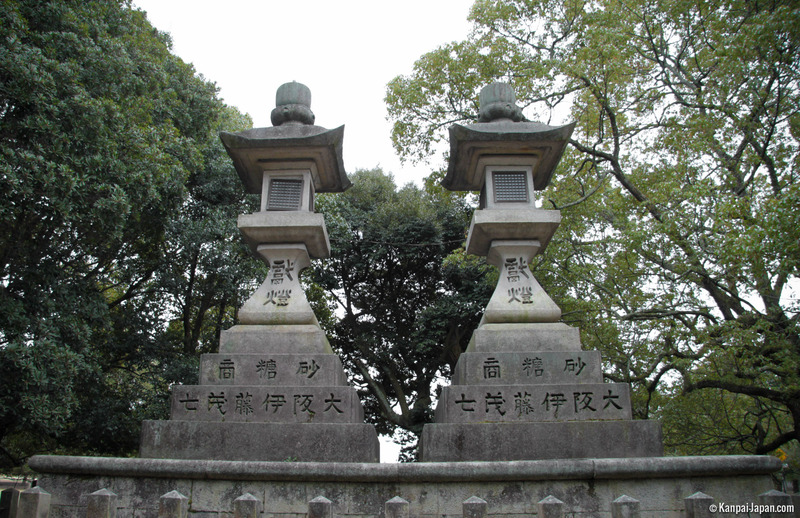 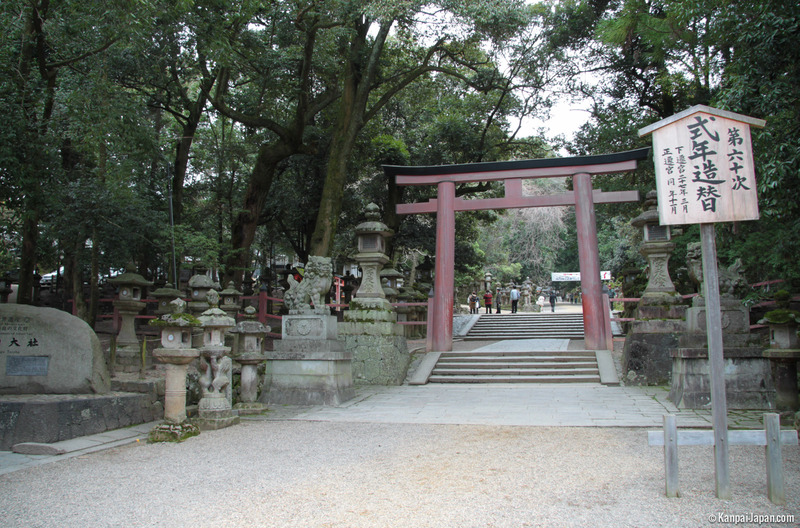 This is quite true about Kasuga shrine whose aura can be felt well before you reach its actual premises. 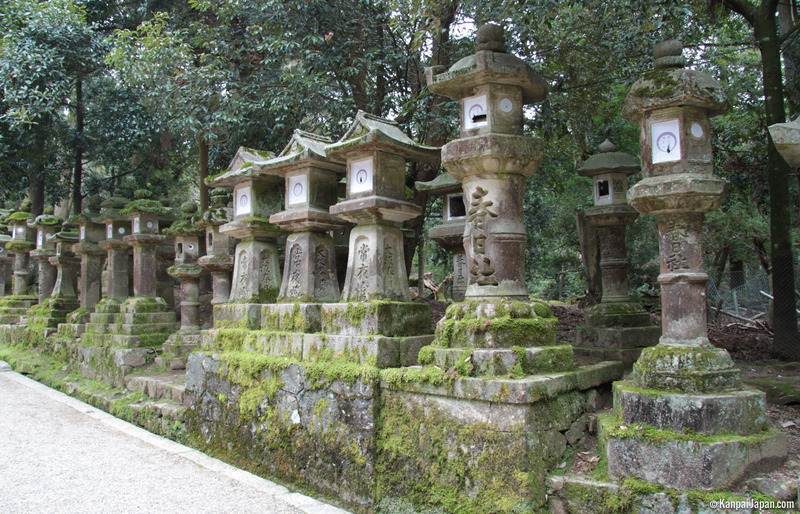 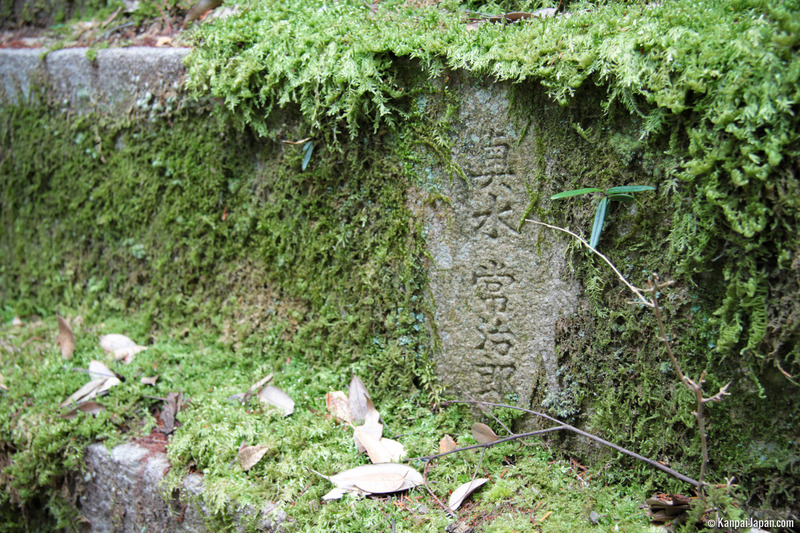 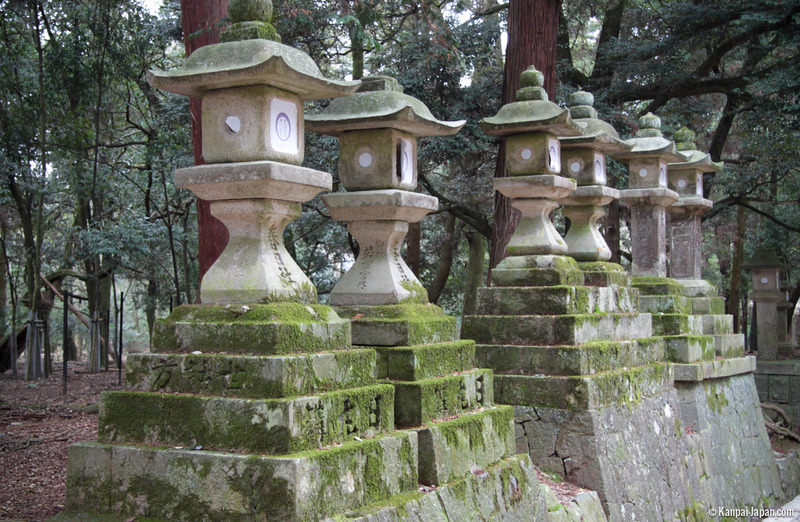 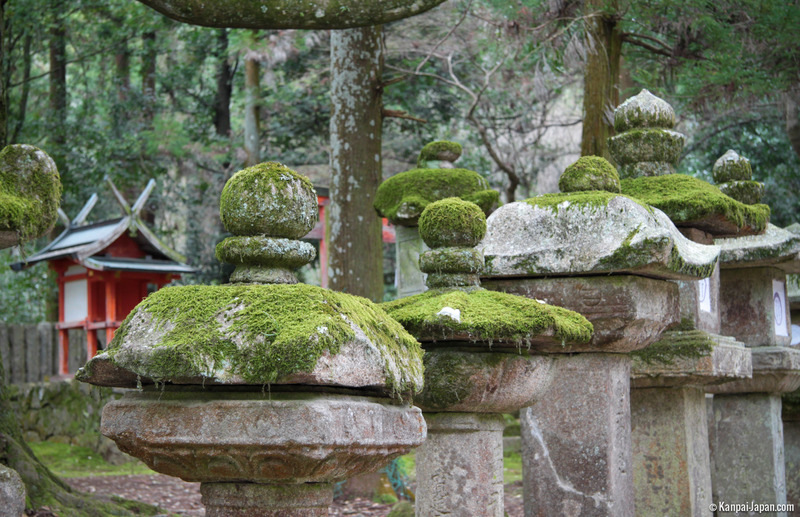 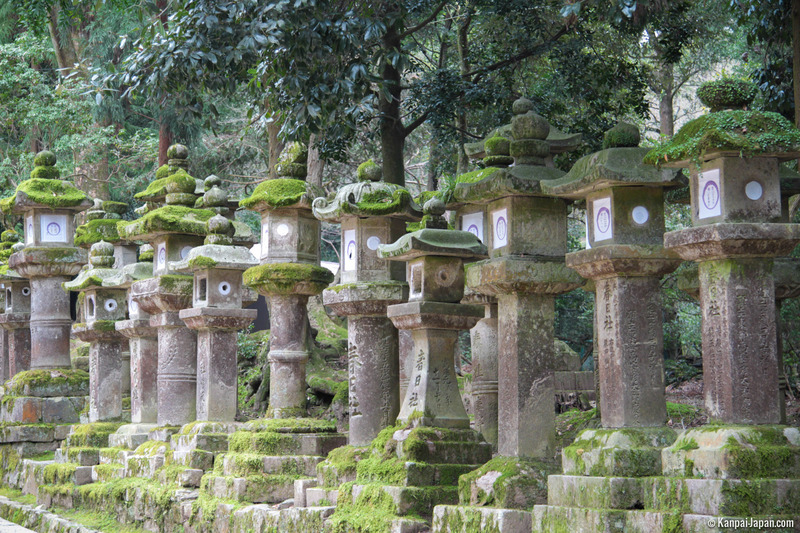 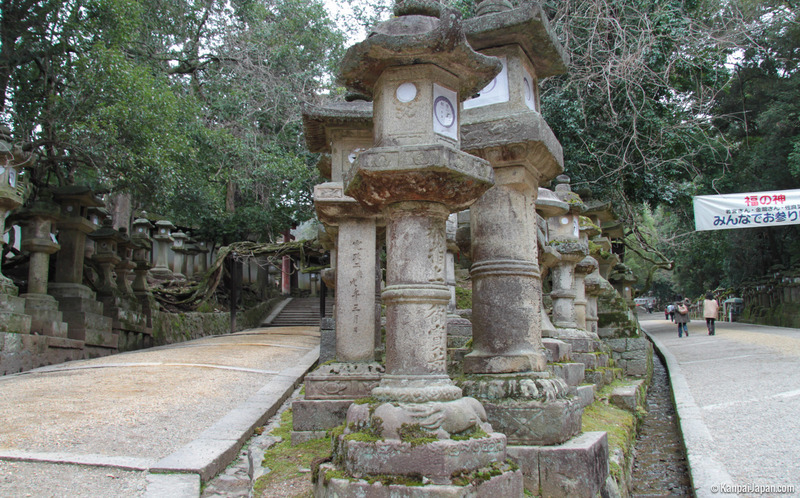 The long path leading up to the shrine takes you through a fascinating landscape of woods interspersed with thousands of tall stone lanterns covered in moss and lichen. 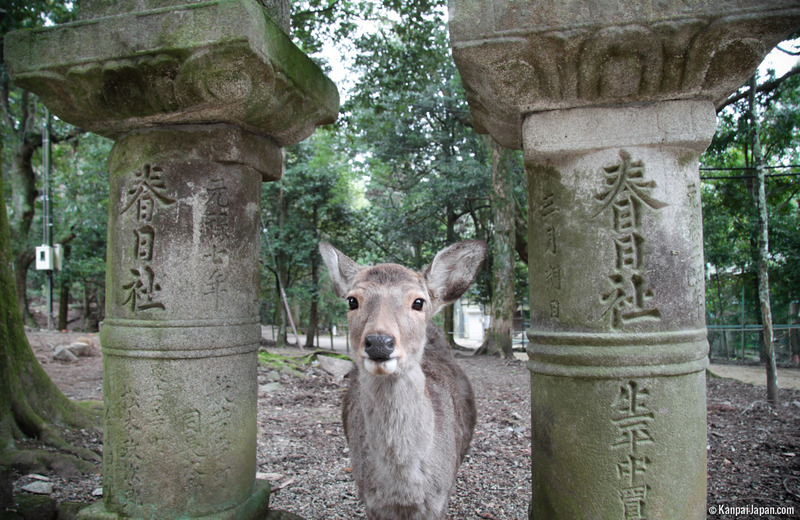 In the midst of this sublime atmosphere, you may also stumble across shika deers, a typical sight around Nara, to the visitors’ delight, as they love roaming the woods. 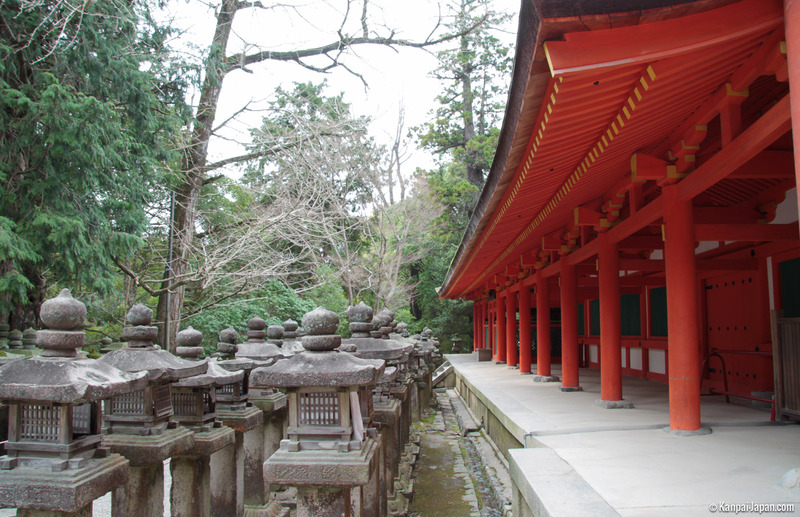 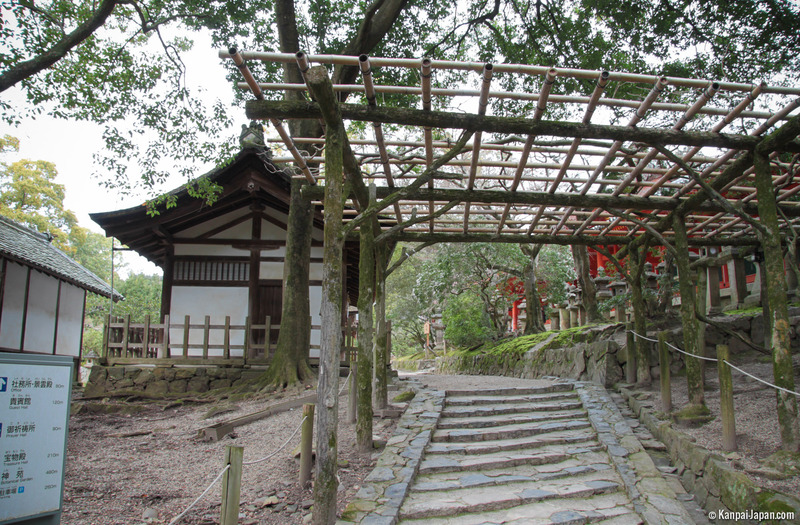 Walking through the entrance gate, you are faced with a set of delightful shinto buildings that radiate serenity. 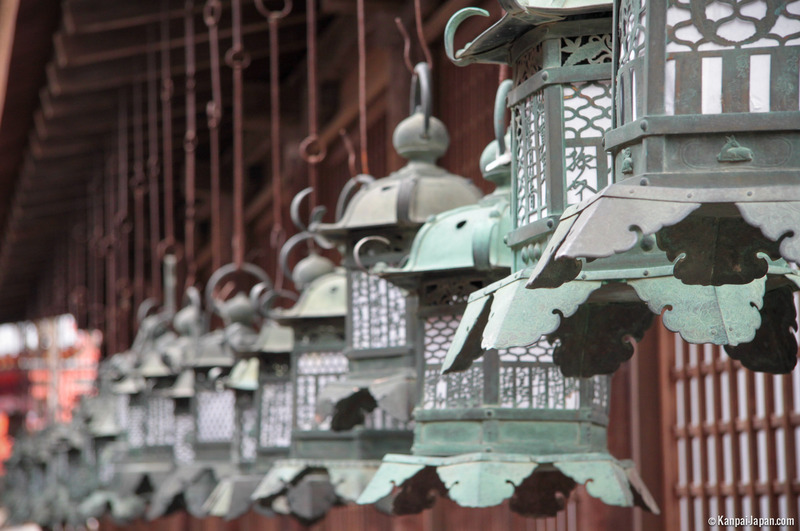 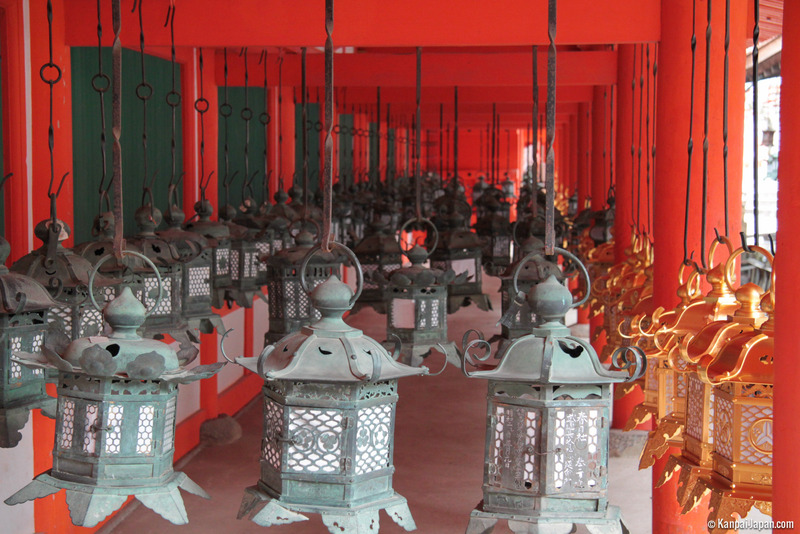 The small bronze lanterns hanging by the hundred, a present from the shrine’s worshippers, adorn the vermillion hue of the shrine’s buildings. 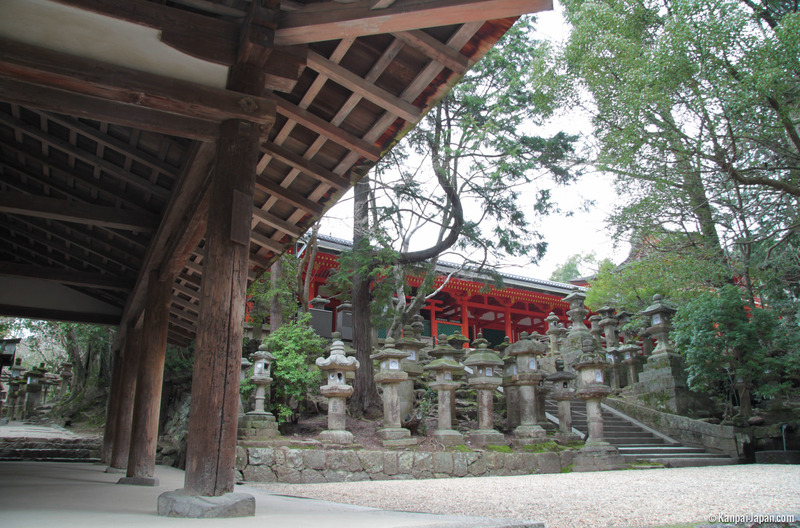 Even though construction dates back to 768 and the beginning of the Shinto era, the buildings have been largely rebuilt over the centuries. 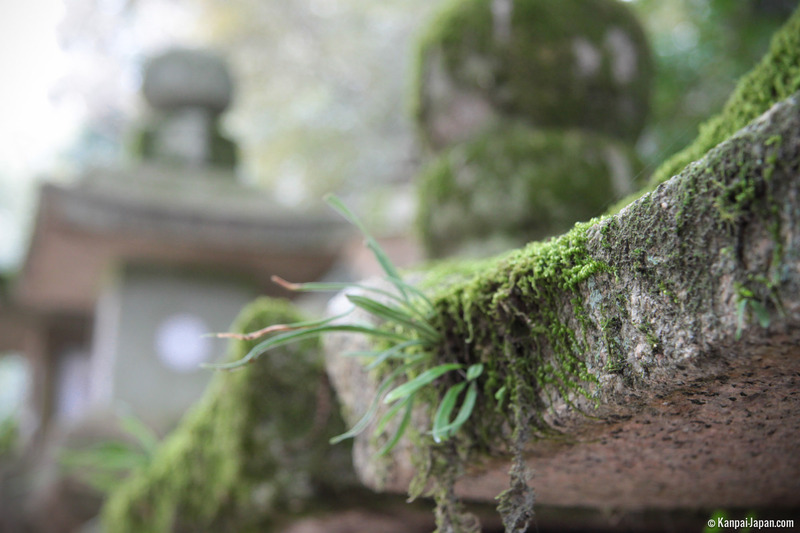 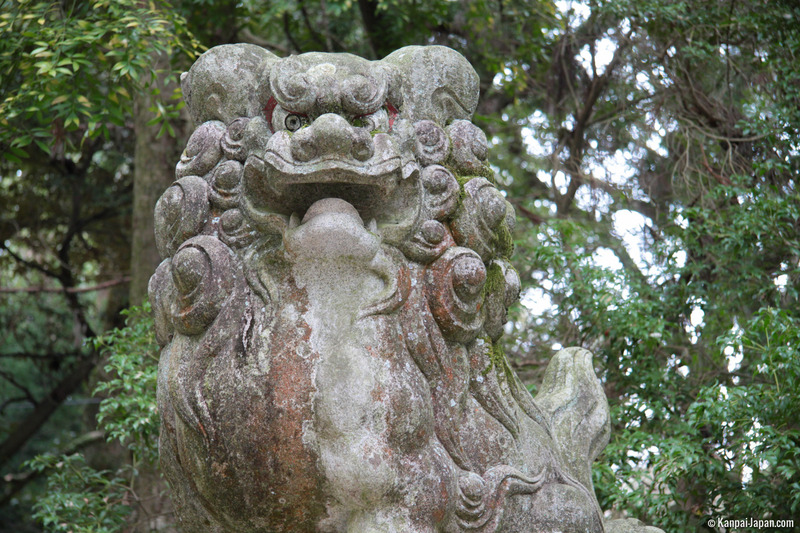 The shrine is dedicated to the protective deity of Nara and is a Unesco World Heritage site on account of the historic monuments of ancient Nara. 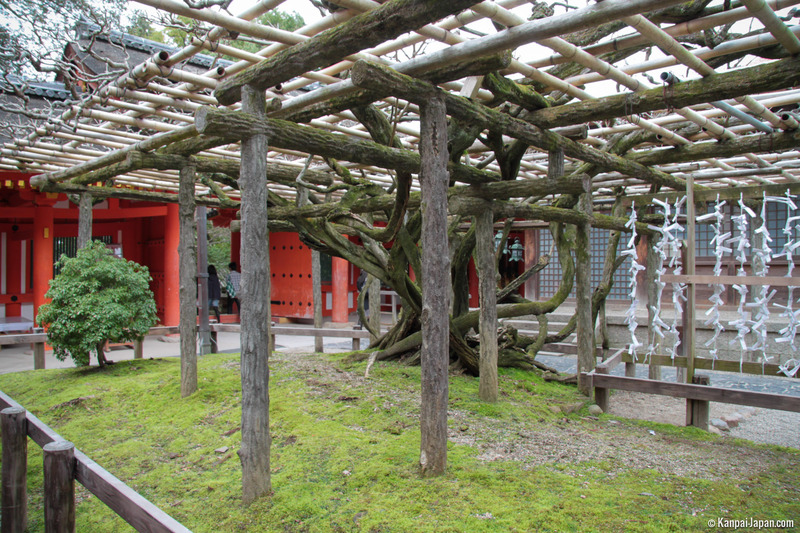 Two other particularly noteworthy places in the vicinity of the Shinto buildings are: the botanic gardens of Shinen Manyo where wisteria reigns supreme in the spring and the primeval forest of Kasugayama (unfortunately closed to visitors) which stretches out behind the shrine in the direction of Wakakusayama.